I can’t believe this party is out of it’s teen years already! Time has flown by!! Everything I Love and More created these apothecary jars. I’m just so drawn to them. I must copy! 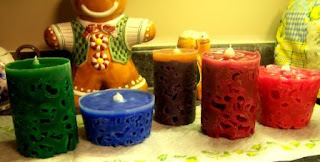 Very creative idea to make “Ice Candles” with Suzy’s Artsy-Craftsy Sitcom. I’ve seen this done on Cake Boss for “ice” icing. The Simpler Life made a pinecone wreath. Love it! This is genius. Less Than Perfect Life of Bliss used wall plates and made mini chalk boards. 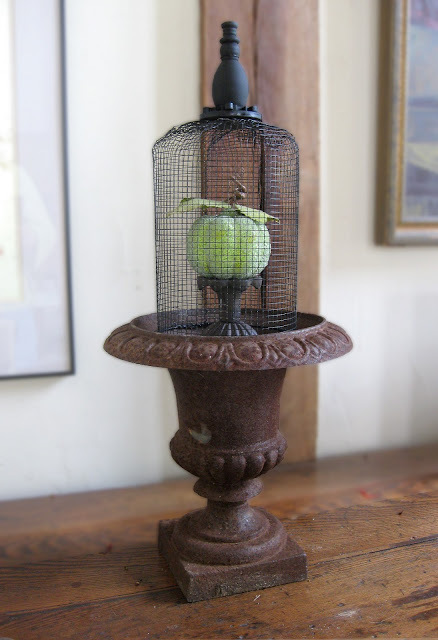 DIY cage cloche by Can’t Stop Making Things. Swoon. Calamity Anne’s Adventures made her own EAT letters. Candy Corn flower pots. Nuf said. So so so so adorable by Home Inspired Bliss. Thanks so much for the feature! Congrats on your 20th party! What great features! Thanks for hosting again this week. 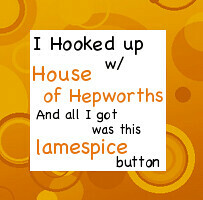 After the next two weeks (which are CRAZY) are finished you need to come over and we will make you a pretty new button. great projects you highlighted! Thanks for hosting. WOW!!! Thanks so much for featuring me this week! Oh I adore all of the creativity. Thank you for hosting. Wow! All the projects featured are amazing!! That wired cloche is so fabulous!! Thank you so much for featuring my candles!! I am very honored! Allison thanks so much for featuring my candy corns!! I’m flattered and glad that you liked them!! And thanks for hosting such a great party!